The Ferrari F40 is my favorite supercar from the eighties. 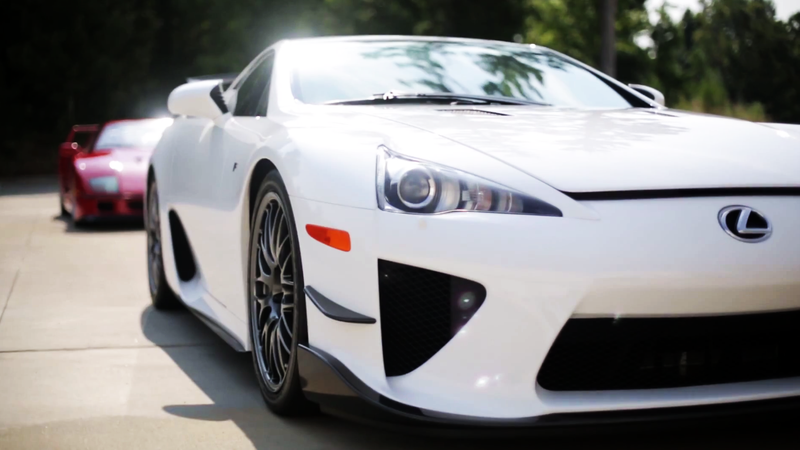 The Lexus LFA is my favorite modern supercar. This guy has both, and more. The F40 is a timeless classic. It's everything you want from a supercar. Fast, beautiful, analog and pretty much track ready as standard. The Lexus LFA was never the fastest and has a Lexus badge up front, but if you care about that, you don't get it. It's ten years of Japanese development. It's also hiding the best sounding V10 ever to hit the streets in its carbon fiber body. It's magnificent. Hat tip to My Classic Garage!